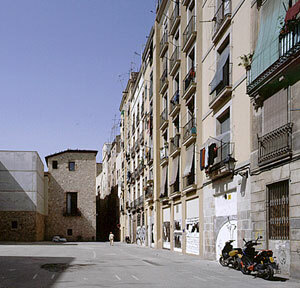 The street called Carrer de Montcada is today the most important area of mediaeval civic architecture in the city. It starts with the Romanesque Marcus chapel (12th century) and finishes at Plaça del Born. 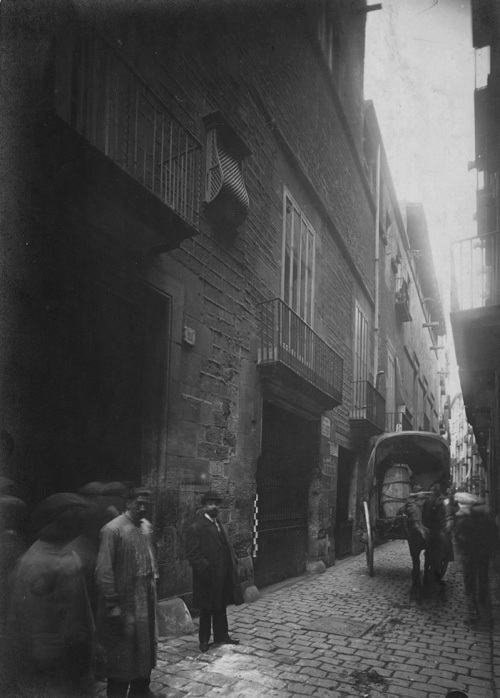 It used to be all one single street until the 19th century, when it was divided into two by the opening of Carrer Princesa in 1853. Its name derives from the important Montcada family from Barcelona who, it appears, received the land in the 12th century for the support lent to King Ramon Berenguer IV by Guillem Ramon de Montcada during the conquest of Majorca. The first homes outside the city walls emerged in the mid-12th century. The street linked the Bòria commercial district with the old sailing quarter of Vilanova del Mar, leading to the creation of the Ribera district. At the end of that century, the area was incorporated into the new city walls, experiencing its greatest splendour from the 15th to the 16th century. It was then an aristocratic street inhabited by noble families and rich merchants who had earned their fortune from the sea trade. At the end of the 19th and in the early 20th century, the street underwent significant alterations and a decline in the area’s residential nature. The street was declared an artistic-historical heritage site in 1947. 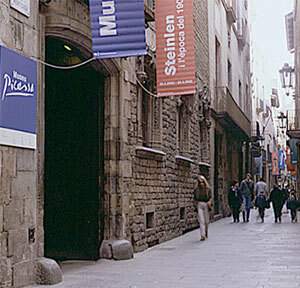 The Picasso Museum was first opened in the Gothic Aguilar Palace palau gòtic Aguilar (Montcada, 15) in 1963. The City Council extended the museum by annexing the Baró de Castellet Palace palau del Baró de Castellet (Montcada, 17) in 1970 and then with the Meca Palace palau Meca (Montcada, 19). A new museum extension was opened in 1999 at the casa Mauri and the Finestres Palace palau Finestres with space for temporary exhibitions. These five palaces presently constitute the Barcelona Picasso Museum. The street known as Carrer de Montcada follows the same route that once linked the port and the road leading to Rome from the western side of the first walled city of Barcelona (the present-day Plaça de l’Àngel). The lower part of the street was occupied by an extensive area of the necropolis that surrounded the early Santa Maria del Mar church from the end of the Roman era. The first homes outside the city walls emerged in the mid-12th century. The street linked the Bòria commercial district with the old sailing quarter of Vilanova del Mar, leading to the creation of the Ribera district. At the end of that century, the area was incorporated into the new city walls. Large land-owning and merchant families began to choose the street to set up their homes from the 13th century onwards, building large houses which, over time, became city palaces. New streets appeared in the 14th century and the surrounding protection provided the houses with a more open structure, with large windows to all floors and gardens. The year 1428 marked a difficult time due to the earthquakes, that even destroyed the big rose window at Santa Maria del Mar church and cracked the walls of many houses, some of which had to have their upper floors pulled down. Once the 15th century civil war against the King of Aragon, Joan II, came to an end, the area prospered once again became the heart of trade in the city. Throughout the 16th century, the bourgeoisie and merchants had increasing family ties, enlarging investments in farming and their stately power, with the street enjoying a time of splendour. Many palaces were refurbished and other new homes built in the 17th and 18th centuries. The area experienced profound changes in the 19th century. The building of the Eixample district in the second half of the 19th century saw many moneyed families move and, further still, the opening of the Via Laietana in 1907 marked a decline in the area’s residential nature. The street was declared an artistic-historical heritage site in 1947. 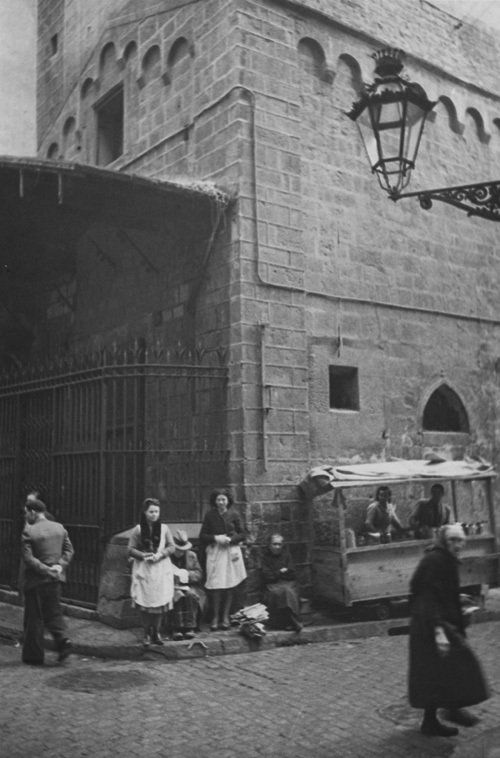 In the fifties, a group of famous people and artistic figures from the Barcelona cultural scene, under the name of ‘Friends of the Carrer de Montcada’, promoted the regeneration of the street as a cultural and museum centre.